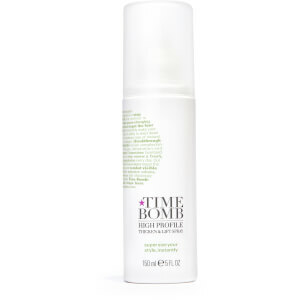 Discover the innovative range of skincare at Mankind which takes your skin back in time, Time Bomb. 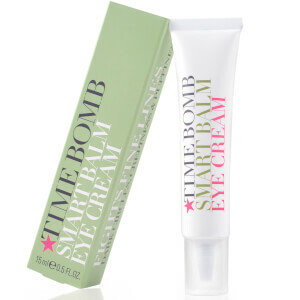 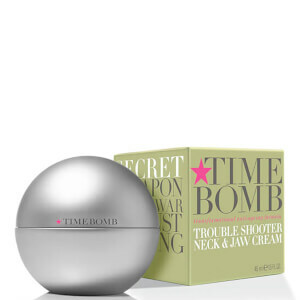 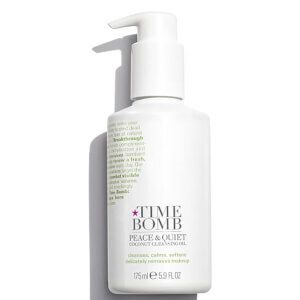 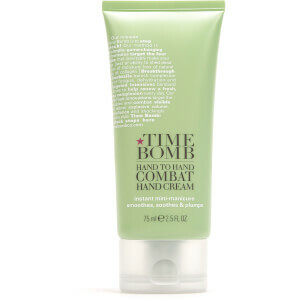 Using powerhouse formulas and breakthrough innovations, Time Bomb is the new approach to skincare. 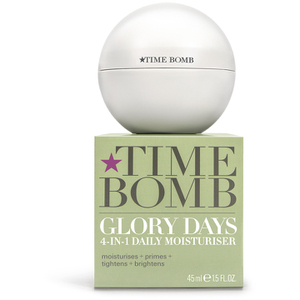 Their simple products work together in harmony to create an easy, everyday skincare ritual. 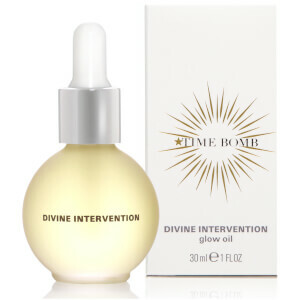 Designed to target the skin’s 4 core deficiencies which come with ageing; loss of sloughing ability, moisture, oil and collagen, it totally transforms the skin in less than 2 weeks. 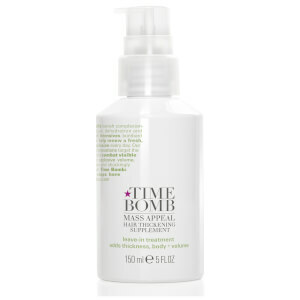 New technologies and formulas containing high concentrations of naturally-derived, cutting edge ingredients solve skin problems immediately and help to stop the clock on visible skin ageing. 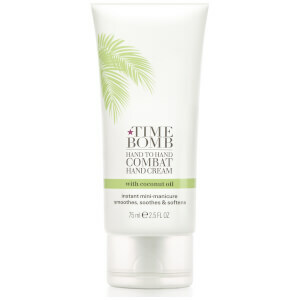 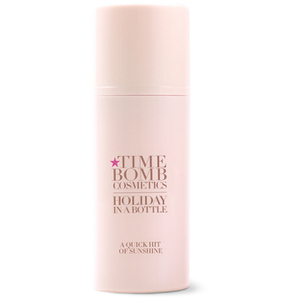 The Time Bomb InstaWOW Bubbling Face Mask is a self-foaming, revitalising face mask made for dry, dull complexions. 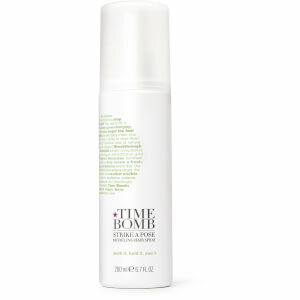 Formulated with glycerine and citrus extracts, it cleanses and hydrates the skin whilst fixing uneven tone and texture to transform lack-lustre skin. 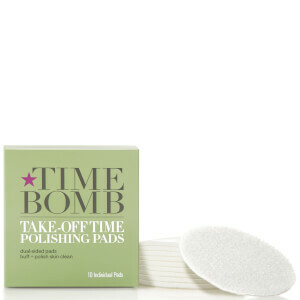 This energising treatment dissolves dirt, makeup and impurities to unclog pores whilst delivering instant moisture. 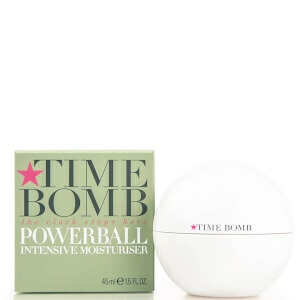 After use, your skin will instantly have a luminous, radiant and healthy glow whilst looking and feeling smoother and more refined. Your complexion will be rejuvenated, clarified and even. 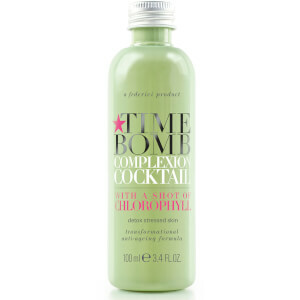 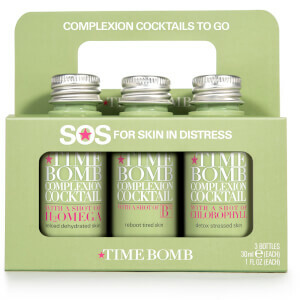 The Time Bomb Complexion Chlorophyll Cocktail is an antioxidant-rich formula which melts effortlessly into the skin for a smoother, healthier complexion. 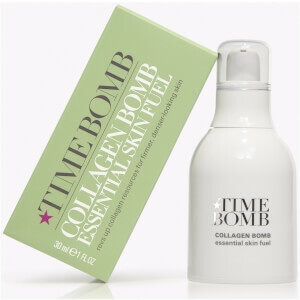 Infused with chlorophyll, it neutralises different types of free radicals to prevent premature skin ageing, spots, clogged pores and dry patches. 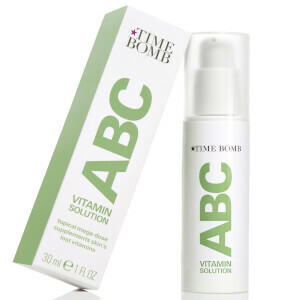 By counteracting the effects of toxins, skin is protected from environmental pollutants whilst being detoxified and refreshed for decongested, clean and soothed skin.